Today I was at the launch of two new routes from Aer Lingus on their Transatlantic service….read all about it here….! 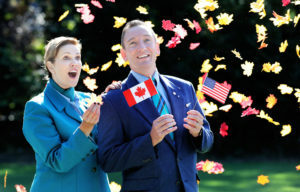 Dublin, Wednesday 12 September 2018 – There are now 15 ways to the USA.…and Canada as Aer Lingus today announced two new North American destinations for summer 2019 – Minneapolis-St. Paul and Montreal, Canada. 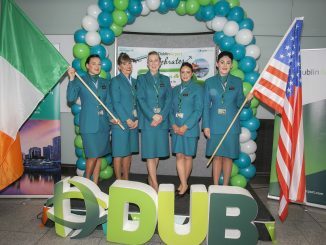 Aer Lingus will commence flying direct from Dublin to Minneapolis-St. Paul International Airport (MSP) and from Dublin direct to Trudeau International Airport (YUL) in summer 2019. 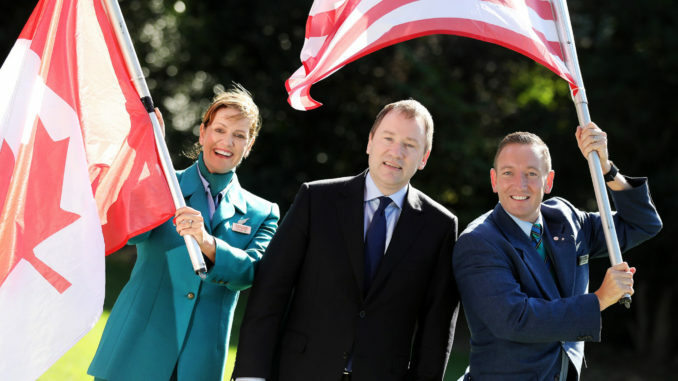 The two new destinations will add a quarter of million additional seats annually to Aer Lingus’ transatlantic network which already comprises 2.8m seats annually between Ireland and North America. Located on the banks of the Mississippi River in Midwest US, the twin city of Minneapolis-St. Paul, Minnesota joins Montreal, the largest city in Canada’s French-Canadian Quebec province, as the 14th and 15th North American destinations on Aer Lingus’ expanding transatlantic network. Today’s announcement is a further demonstration of Aer Lingus’ mission to be the leading value carrier across the North Atlantic. Famed for its French heritage, the city of Montreal is the second largest French-speaking city in the world after Paris, but it also has a strong Irish connection. In fact, the city’s coat of arms displays a clover in recognition of the large Irish community and history within the region. According to the 2011 Canadian census, some 430,000 Quebec residents are of Irish descent and in 2017, the city welcomed 4,200 tourists from Ireland. Designated a UNESCO City of Design in 2006, Montreal is the perfect travel destination for those seeking culture, architecture and food. The city is built upon a series of interconnected underground tunnels which span 32km and connect shopping malls, metro stations, universities and museums. Montreal also boasts the highest number of restaurants per capita in Canada and the second in North America after New York. Diners in the city will often find food with a French flair on their menus, with the exception of Poutine, a Quebec delicacy consisting of French fries topped with cheese curds and gravy. Montreal is especially noted for its cultural vibrancy and is home to over 120 ethno-cultural communities. The city plays host to a number of international events, most famously the 1976 Summer Olympics, the annual Montreal International Jazz Festival, the Just For Laughs Festival and the Montreal Grand Prix. Famous faces from the neighbourhood include Grammy award-winning singer Celine Dion, indie rockers Arcade Fire, Star Trek star William Shatner and Canadian Prime Minister Justin Trudeau, after whose father, Pierre, the city’s airport is named. North America’s twin cities, Minneapolis and St. Paul, are bisected by the Mississippi river and each have a lot to offer Irish guests. Most famously, Minneapolis is home to the Mall of America, the largest shopping and entertainment centre in the United States and the number one tourist destination in the entire Midwest, attracting over 40 million visitors each year. The mall spans 4.2 million sq ft and houses more than 520 stores, 50 restaurants, multiple nightclubs, an aquarium and even its own theme park. 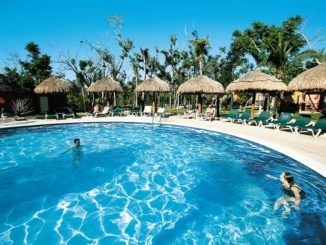 First-time travellers to the area will be impressed with all the cities have to offer. Outdoor activities and water sports are plentiful with 13 lakes across the region and over 500 golf courses in the state. The cities also feature within the top three most cycling-friendly destinations in the US. For those more indoor-inclined, the impressive Minneapolis Skyway is the largest continuous pedestrian walkway system in the world, linking 69 blocks over seven miles. It’s not all leisure though, the Minneapolis-St. Paul region is also the seat of 17 Fortune 500 company headquarters, including popular chain stores Target and Best Buy as well as 3M and SuperValu. The cities have been noted among North America’s fasted growing tech hubs. Prepare to be bowled over by the warmth of the locals, renowned for being ‘Minnesota Nice’, a name attributed due to their courteousness and mild-mannered nature. Perhaps it’s due to starting their day with a bowl of sweetness – breakfast-favourite Lucky Charms were first made in Minneapolis! Film fans will be familiar with Minneapolis-St. Paul as it was the backdrop for the Coen brothers’ Fargo as well as comedy sports-drama The Mighty Ducks. Musicians Bob Dylan and Prince also hail from the area, as well as world-famous author F. Scott Fitzgerald. Aer Lingus continues to drive its strategy of expanding the airline’s Dublin Airport base into a major European transatlantic gateway. 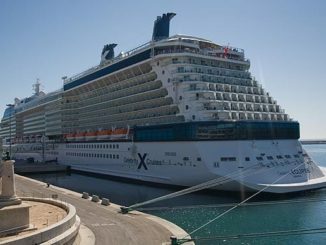 The airline will offer connections from 20 key European and UK airports to Montreal and from 12 European and UK start points to Minneapolis-St. Paul, including Amsterdam, Paris, Edinburgh, London and Manchester, among others. The Montreal service will also facilitate connections to six French cities including Paris, Lyon, Toulouse, Nice, Nantes and Bordeaux. Fares to Montreal start from €239 and to Minneapolis-St. Paul from €249, each-way including taxes and charges, when booked as a return trip. Guests travelling to North America with Aer Lingus can enjoy the complimentary 23kg baggage allowance (Smart Fare), complimentary on-board meals, 120-hours of the very best in-flight entertainment and U.S. Customs and Border pre-clearance at Dublin and Shannon airports.